Recess is the time during the school day when children can play. It is as essential to the school—to the child—as the subjects of math, reading, and science, and all the other academic subjects. These subjects teach children about our world and help them to understand it. Recess, and the play that occurs at recess, helps children learn about themselves and each other, and their place in the world—and helps them to understand the interconnectedness of human beings with each other and the world. 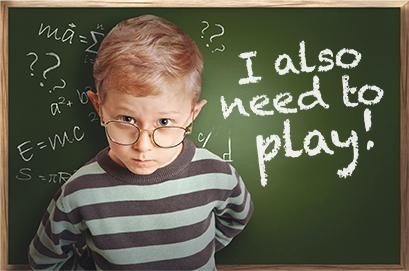 Read more about what children say about recess.